Understanding how to interpret test scores is a valuable skill for parents of students with and without learning disabilities. That's because test score interpretation enables parents to understand how a child's performance on tests compares to other students. Knowing how a child performs on tests is important for parents in several ways. It can give parents a sense of how much progress a child needs to make, and in what areas. On the other hand, it can give parents a sense of a child's strengths, and where she may need to be challenged. Test scores may reveal that a child has both weaknesses and strengths or that a child appears to be on target across the board. Students with learning disabilities, of course, need more support in some areas than others. Knowing how to interpret test scores can help in parenting in ways beyond education, especially for those children who fall below average in certain areas. By learning your child's strengths, you can focus on some of these for encouragement as you address the areas where she is not so strong. Usually, both mainstream and special education assessments include scores from standardized tests. While these scores alone don't completely define a student's abilities, they do provide insight. Accordingly, it's important that parents learn the top terms associated with standardized test scores. 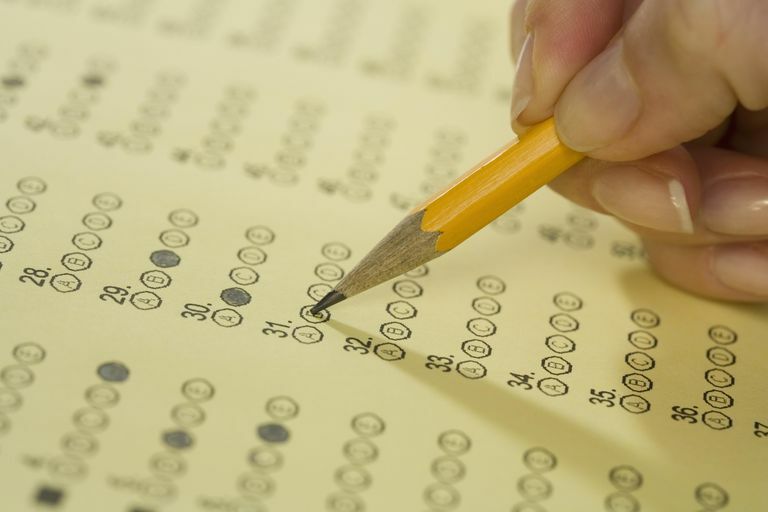 Learning about education assessments such as standardized tests helps parents not only glean insight into their child's strengths and weaknesses but allows parents to understand the limitations inherent in these tests as well. Familiarize yourself with the terminology typically used to describe test scores with the definitions that follow. What Is an Average Test Score? Above average test scores fall above the "average" range. Approximately 16 out of 100 students score in this range. Those at about the 85th percentile are considered high average. At the 98th percentile, students may be considered gifted in some programs. It's possible and actually quite common for a student to be gifted in one subject area and to have a learning disability in another. Below average test scores fall below the average range. Approximately 16 out of 100 children assessed on standardized tests score within the below average range. A child may perform below average on a test for a number of reasons. Perhaps she simply was having a bad day when she took the test, has fallen behind in a subject or has test anxiety. Retesting the child and giving her the academic and emotional support she needs in the meantime may yield a different result. Borderline test scores are those that fall between the 5th and the 16th percentile and are suggestive of learning problems. Scoring in this range doesn't necessarily mean a child has a learning disability, however. Scores that approach the lower 5th percentile are suggestive of significant learning problems or potential learning disabilities. At this point, school officials may refer a child for special education services, conduct more testing or review his body of work to determine for certain if the student has a learning disorder. Learn about the learning disability assessment process. While it's helpful for parents to learn the terms above to better understand test score results, parents should never rely exclusively on their own knowledge to decipher what test scores indicate about their child. If you're unsure about what exactly a set of test scores reveal about your child's learning abilities, talk with the student's teacher, counselor or administrator to get more details. As a final note, it's important to note that testing results may change over time and in different areas. If your child is testing low, it does not mean she is a poor learner, and if she tests in the gifted area in some areas, does not mean she will never need special assistance in learning. Education assessments are a good way to find children that need special help either from a learning disability or gifted child angle. Keep in mind that there are aspects of learning such as motivation which is not measured well by standardized tests. In these areas, your knowledge and understanding of your child as a parent provide invaluable information to supplement the results of any standardized tests. Kliegman, Robert M. Nelson Textbook of Pediatrics: Expert Consult Premium Edition - Enhanced Online Features and Print. 20th ed. Philadelphia: Saunders Elsevier, 2015. Print.